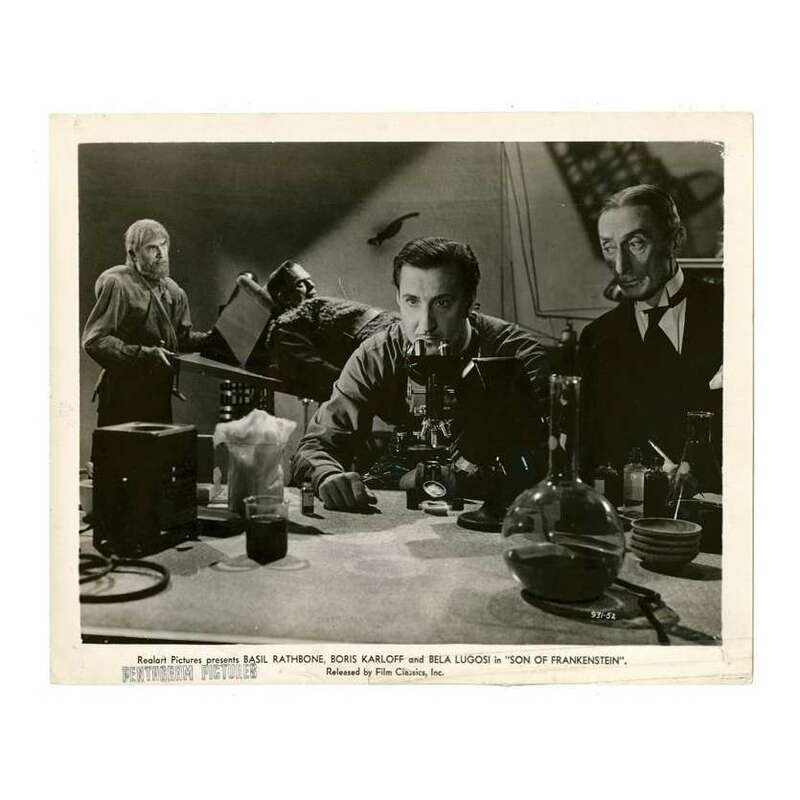 > Lobby Cards and Photos>SON OF FRANKENSTEIN 8x10 still R40s Rathbone with microscope as Lugosi tends to Karloff! 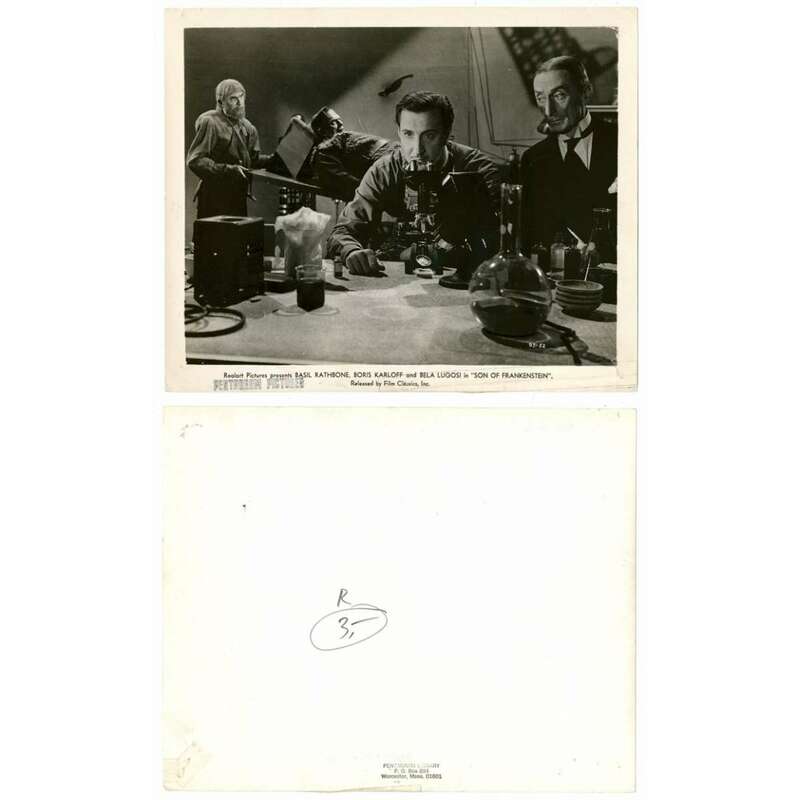 SON OF FRANKENSTEIN 8x10 still R40s Rathbone with microscope as Lugosi tends to Karloff! 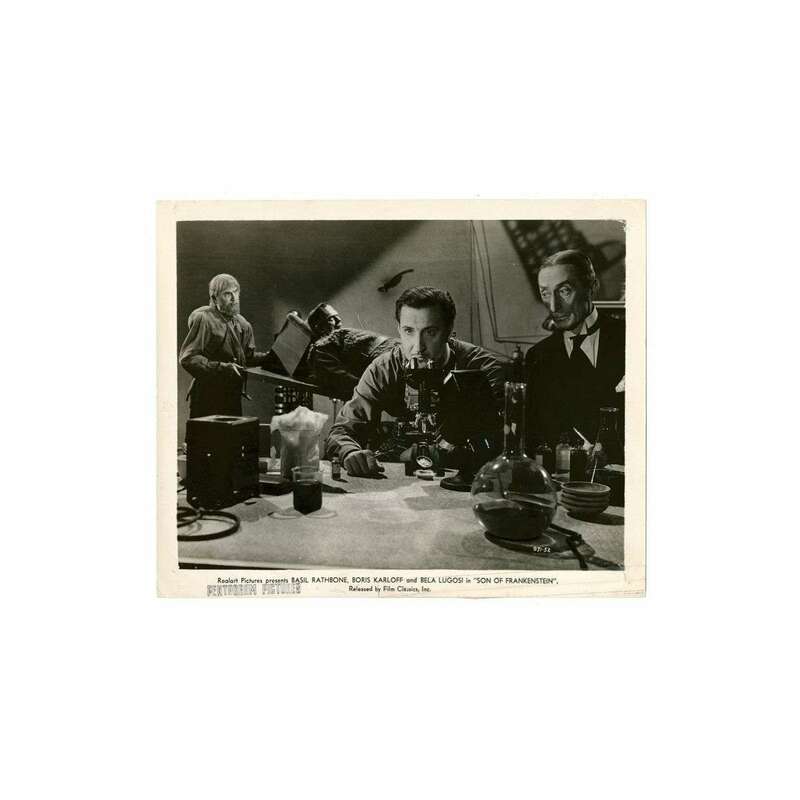 A 1940s Re-Release Vintage Theater-Used 8" x 10" Movie Still Condition: Good to Very Good (C5) See our 10 GRADE SYSTEM Page for more information. Important added info : please note that this movie poster is related to the Re-release of 1940. Overall Condition: good to very good. There is a long horizontal crease in the bottom border and someone put a piece of clear tape over that. There were tiny tears in the bottom right corner that were also repaired with tape from the back. 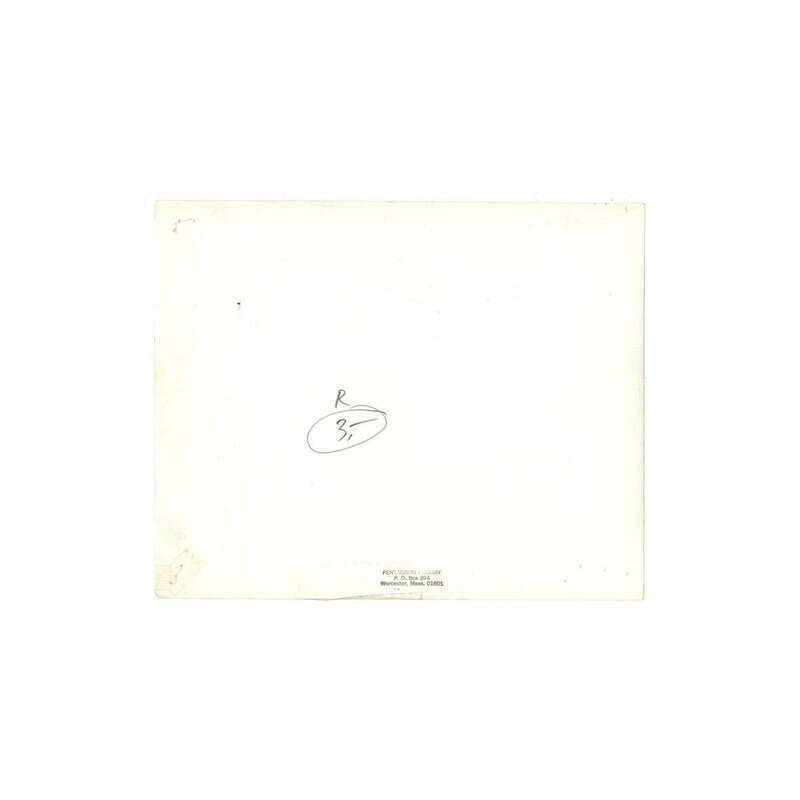 There is a tear in the top right corner and a stamp in the left of the bottom border.